When our guests think of Silverwood Theme Park, usually pictures of big, massive, roller coaster flash through their minds. It’s true. We do have four massive coasters that are jaw droppingly fun. But we often get asked what else there is to do behind the high intensity attractions. We take pride in the fact that we are family friendly park. We have plenty to do for every member of the family. Whether you have people in your group that are unable to ride the rides, or just aren’t interested, you still get immerse yourself in over 220 acres of fun. Here is our guide for those that may not be interested in the rides portion of the park. Magician Nick Norton leaves guests in wonder in his award winning magic show. Norton performs some of the world’s greatest illusions all inside America’s Theme Park. He will perform a mixture of some favorite tricks, Dr Cosmos will be back, as well as an introduction to an never been done illusion! Norton will take one of you from the audience, and make you vanish on stage! Get there early and volunteer to be apart of this one of a kind experience. Check our entertainment schedule upon arrival for show times. 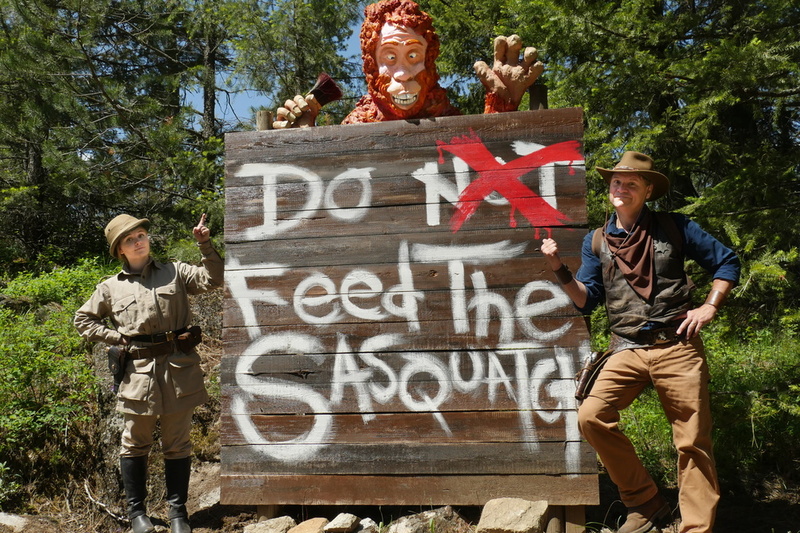 Sit back, enjoy a stroll through Silverwood’s wilderness, and try to escape the bandits! Old Engine No. 7 offers all sorts of fun on its journey around the park. Keep a lookout for fairies, trolls, and an adventurous show starring Marshall Jack. The train leaves every hour on the hour at the Train Station on Main Street. Sometimes it’s nice to just take a time out from all the fun to just sit back and relax in our quiet gardens. 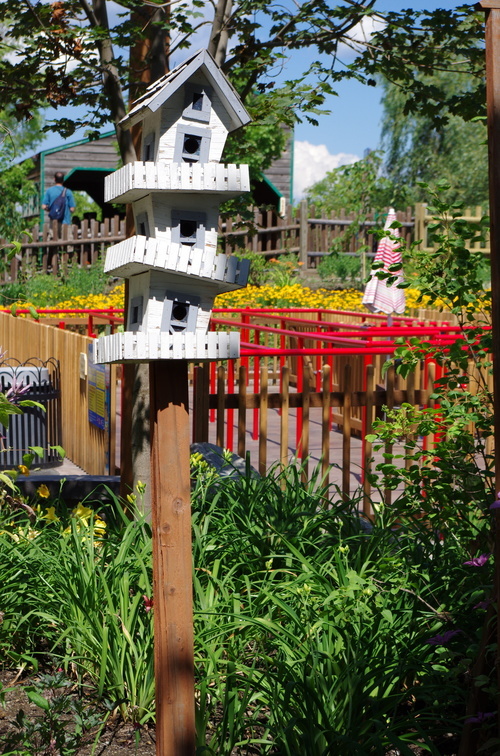 Located in between Roller Coaster Alley and Garfield’s Summer Camp, these gardens are lush with green life as well as chirping birds that live in their very own Silverwood Custom Homes. Just tell the kids to meet you there after they finish riding the Paratrooper. One of the best parts of vacation, is shopping for souvenirs to remember your trip. With over 10 retail stores spread throughout the park, the chances to find that unique gift are endless. Whether you want to take your grandchild to the timeless candy store on Main Street, to snagging that Coaster sweatshirt for bragging rights at the Tremors Gift Shop, we have what you are looking for. Map out your shopping endeavor by using our interactive map. We always strive for quality at our park. Yes, we do offer the classic, summer, fair food favorites. But we also offer house made fudge and coffee, freshly made pastries, and a turn of the century restaurant that serves hand pressed hamburgers. We have something for everyone. Whatever your in the mood for, we have it! Grab a pizza in the Theatre of Illusion before the magic show, or indulge in our all you can eat BBQ spread at Chuck Wagon John’s. Spend this time experiencing the wonder with your kids. Even though we have attractions for guests of all ages, the little ones will only be little for so long. Watching them take that first ride, or seeing their face when they are handed that “single scoop” ice cream cone that is as big as their head.Take the leap and start making lasting memories with your family by visiting our park next season! You won’t regret it! There is a lot to see and do at the park. Please share your favorite Silverwood or Boulder Beach memory below to enter to win our ticket giveaway! We are looking forward to your next visit! I loved going to Silverwood as a kid and I’m now loving taking my kids and seeing the joy as I show them my favorites from way back when!